It was one of those weekends that could have been good, or a total blank on Chesil. The tides were dying away, the water was clearing and we still had an easterly wind for the most part. As it turned out, Chesil produced the way it was typically remembered for, by producing a number of nice Cod, from marks all along the beach, as well as well as good Whiting and the usual Pout and Dogfish. Bradley Price was just about to pack up, when he landed this lovely fish, so naturally he had to have one more last cast. 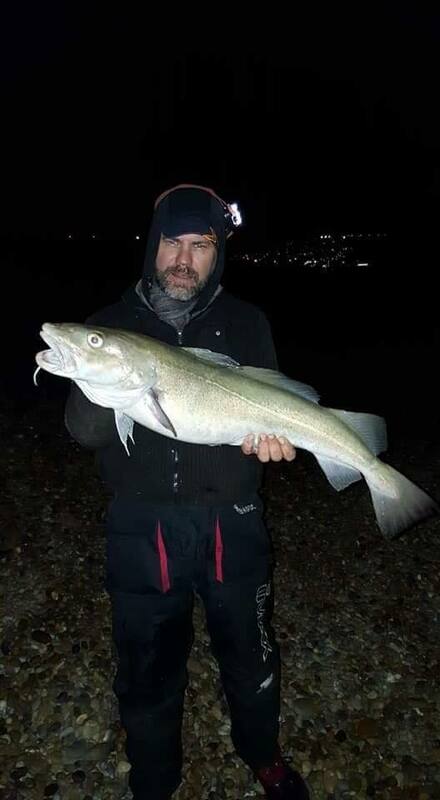 Lee was one of several anglers that managed to find some double figure Cod, when he managed this 11 1/2lb fish. He also had a strap Conger and was bitten off my something that he couldn’t stop! Don’t you just love Chesil. I did suggest that it may have been a Tope. I remember a couple of years back, that someone caught a large Tope around this time, but the British Record Stingray also fell around the same time. Away from Chesil, some of the other marks fished well, especially Portland Harbour, for Bass on Lures. Once again Kevin Webb found a number of Bass, although none of them were particularly large, it was good to see them hit the lures hard. I can’t go without mentioning another amazing Blonde Ray that was caught the previous weekend. 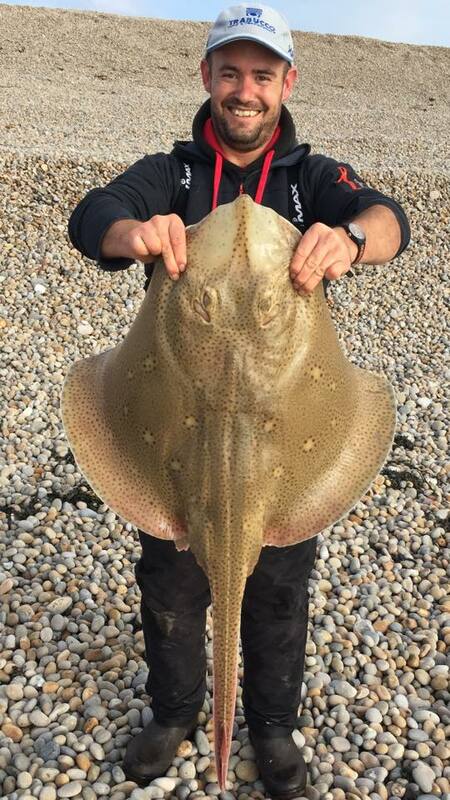 Ben Stockley had this 22lb 5oz Ray, which was part of a five fish haul. Chesil Beach: 11.5°C, 2m swell that is going to build and I am sure Wednesday and Thursday will be unfishable. Friday will be rough, but it should be fishable, as long as the wind drops as forecast. Portland: 1.5m swell on the West side, that will build over the next two days. The water will be fairly coloured from Wednesday. Weymouth Bay: Calm, with lightly coloured water. Chesil Beach forecast: We are going to have a changeable few days, with winds building quickly and switching to a full SW storm that will make the beach unfishable for Wednesday and Thursday. 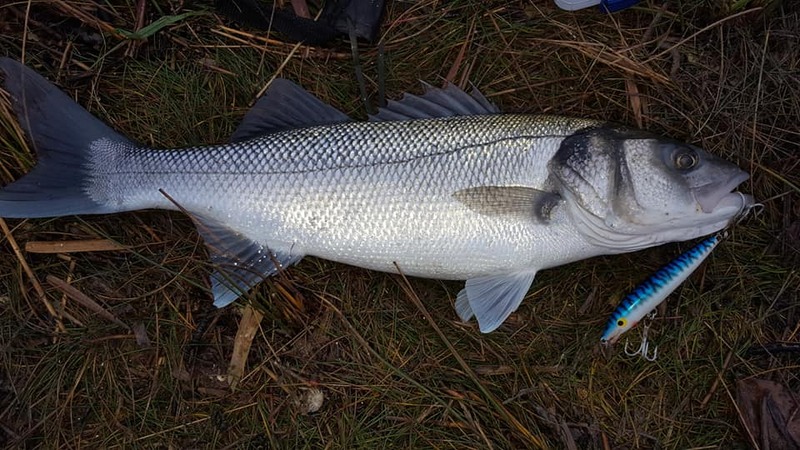 However the build up will give you a great opportunity to fish Chesil for Bass on lures. It is my favourite set of conditions and when I normally catch most of my large numbers of Bass in a short period. I will be hitting the beach this morning. 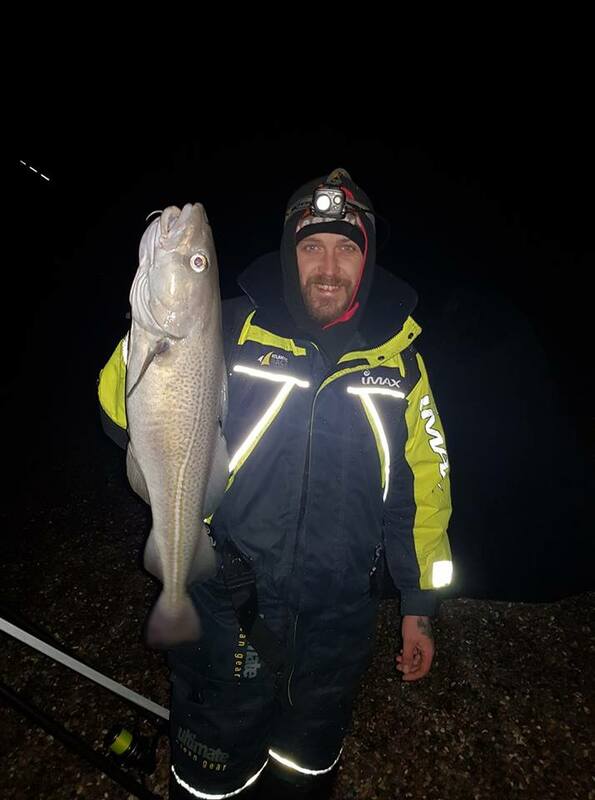 Friday is another ball game all together, as the wind should drop to allow anglers that are capable of a decent cast, to target Cod and Whiting. If your casting is a bit on the short side, you will end up losing all your terminal tackle, as it gets buried in the shingle inside the surf zone. The Cod have been coming on Lugworm, Squid and live Peeler Crab baits. Whiting will happily tag Ragworm or Mackerel strips. Portland Harbour: A good mark that should continue to fish for Bass, until the water temperature hits 10ºc, then it will die off. The temperature is falling quite quickly now, so we probably only have a few weeks of sport left. The harbour will fish for Flounder still, but not much else. Portland: The Bill is worth a try until it becomes too rough on Wednesday. Bass, Mackerel, Pollock and Garfish can all still be caught, as can Wrasse. The Wrasse don’t feed well, when there is a big swell, or coloured water. Weymouth Bay: The piers will produce fish to float fished worm, or Mackerel. The whole of Weymouth Bay provides good shelter, when there is a SW blow. Whiting can be prolific from Preston and Bowleaze. 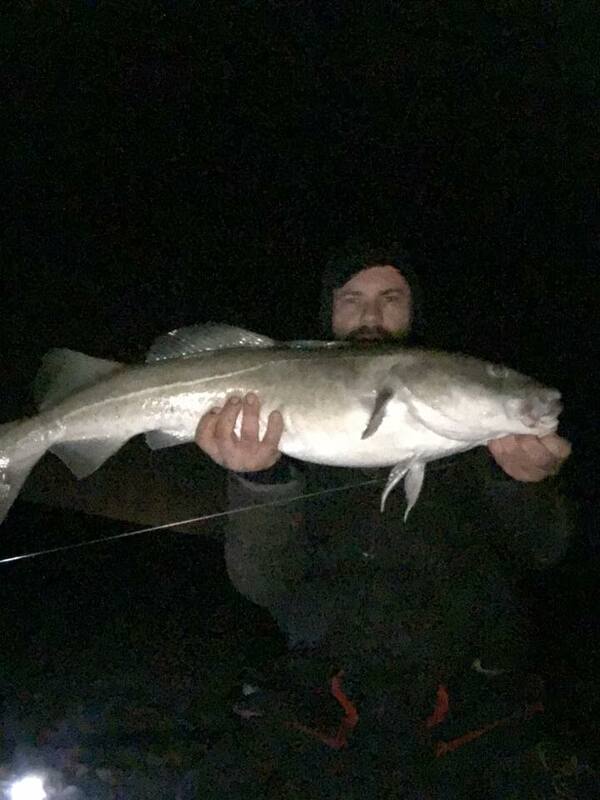 There is always the chance of a Bass or a Ray there, especially at night. 2 Responses to "Classic Chesil fishing with double figure Cod"